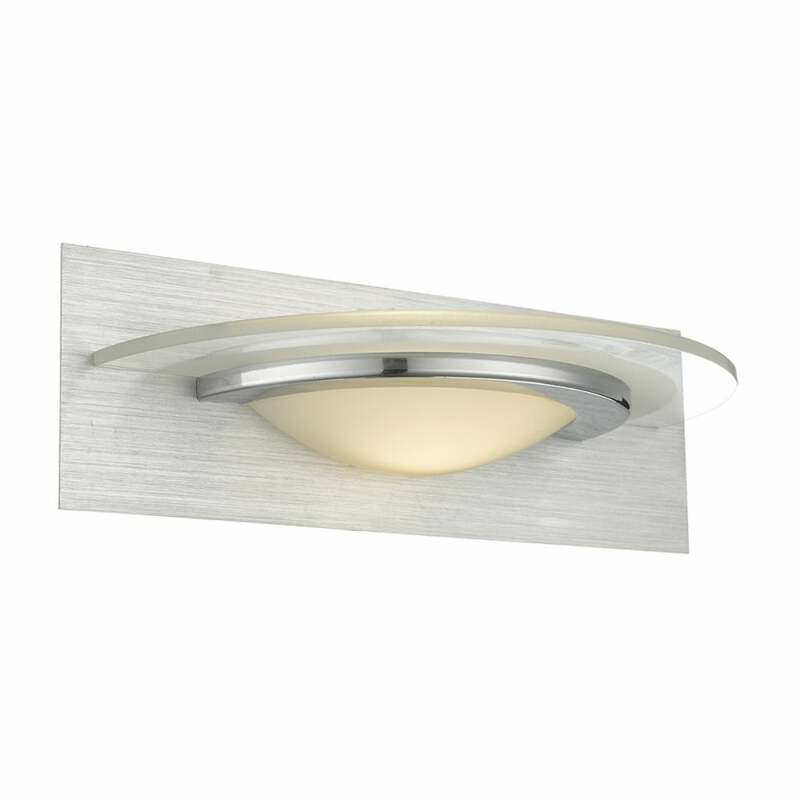 Dar Lighting Analyze LED wall fitting features a rectangular shaped back plate in brushed aluminium finish, a classic opal glass shade with clear glass and polished chrome detail. This modern design has a hint of Art Deco influence and the integrated 3000k warm white LED throws a strong light up the wall with a softer wash of light through the opal glass diffuser. Double insulated and operated by a discreet rocker switch located on the back plate. The product code is ANA0768. A wide range of LED wall fittings can be viewed on our website.